Since 2007, on the last Saturday of March every year, individuals and companies are asked to turn off their lights for an hour to raise awareness about climate change. The lights-off movement has grown year by year, and there are now scores of countries and millions of people participating. Most evenings in the African bush guests enjoy outdoor dining around a roaring fire, while subtle twinkling lights illuminate the boma. This weekend was a little different as Sabi Sabi once again joined World Earth Hour. 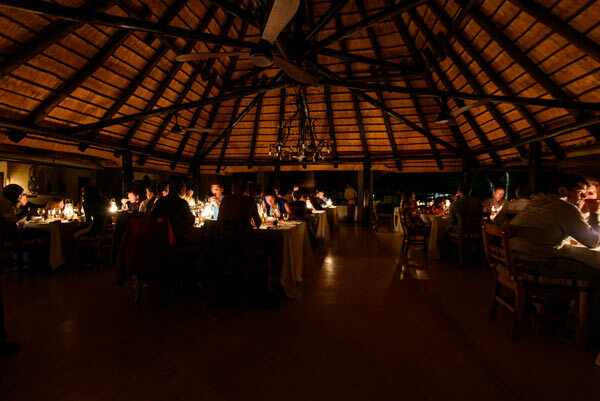 The electric lights were turned off across all lodges and only the soft glow of oil lamps, lanterns, candles and the brilliance of the stars and moon in the African night skies shone across the boma and the lodges. 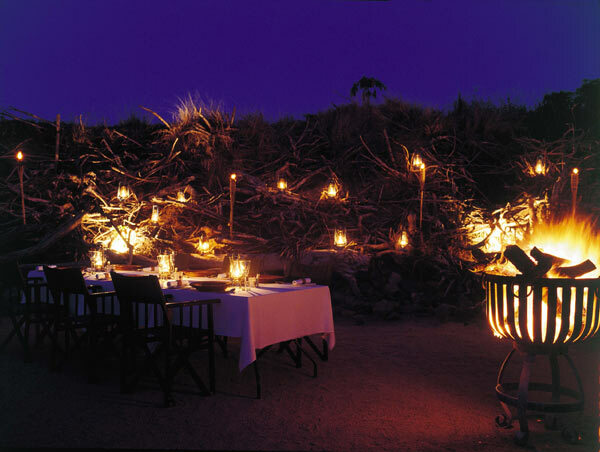 Earth Lodge, described as ‘the most environmentally sensitive lodge in Africa’, led the way with a beautiful candlelit dinner in the boma with ambient lighting provided by hurricane lamps, the fire and a brightly shining moon. Guests were enchanted by the charming setting as the Sabi Sabi team explained the rationale behind the initiative. The other lodges followed suit, each setting up a unique dinner to honour the special hour and highlight the lodges’ commitment to minimising their impact on the environment. 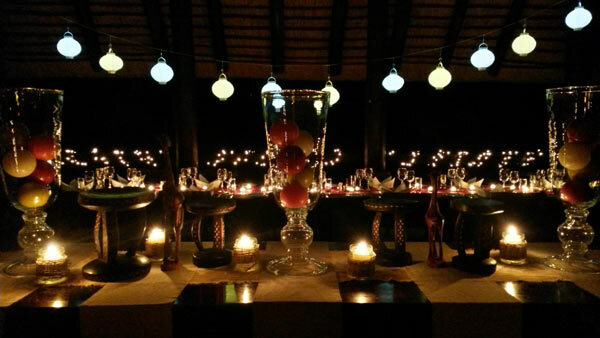 At Little Bush Camp a string of lanterns lit the beautiful buffet table, at Bush Lodge the dining area was transformed by softly shimmering oil lamps and Selati Camp’s already romantic ambience was enhanced by the extra hurricane lamps lighting the way to the dinner venue. The effect was magical and the lights stayed off well after the hour was officially over. Somehow the freshly prepared dinner of mouth-watering venison, seasonal vegetables, delectable desserts and cheeses tasted even better in the gentle darkness. As always the fabulous food was accompanied by fine wines and the special warm brand of African hospitality synonymous with Sabi Sabi. Sabi Sabi has long been a champion of conservation in South Africa, having won many awards for sustainability and conservation over the years without detracting from the 5-Star luxury for which it is known the world over. Sabi Sabi stands against climate change and is proud to be part of this annual global initiative.